Roger Scruton, writer and philosopher, on his 19th century painting of a hunting dog. GB Why did you choose this picture? RS I bought this picture because I liked it and intended to live with it and there was a little patch on this wall that needed a picture. I think the primary characteristic of beauty is that it’s something you can live with and it gives you a sense of home. There are other aesthetic values like the sublime and the tragic and so on which are not necessarily reducible to the beautiful, but the beautiful is that thing which you want around you. I like to have this around me, not only because it’s a very competent painting but also for what I see in it. It’s a window onto a world I’ve come to love in the course of my life, which is the English countryside and the life that goes on in it. 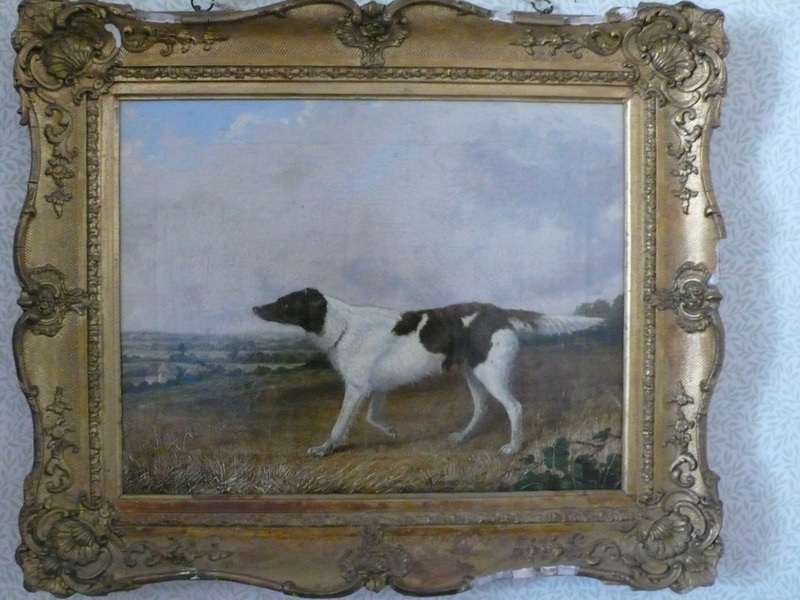 I suppose the principal thing about this painting is that the dog is alive and she is expressing in her form the life of which she has been made a part, the life of the gun dog, alert to what’s happening around her, sensing the way in which human beings possess the landscape and make dogs a part of it. It’s a form of life that is both work and leisure and a kind of ownership. I think ownership is utterly important to the idea of beauty. Not private property so much as being part of things, having a right to things – and that’s what that dog represents. GB Do you know anything about the artist? RS No, it is signed somewhere but I can’t work out who it is. It’s a 19th century painting obviously and I imagine someone who studied at the Royal Academy, got his textures right, knows how to do a Constable sky and all the usual stuff. GB Can you imagine someone who isn’t well acquainted with the English countryside finding it beautiful? RS I think with a little bit of help, anybody could see that the dog is not only imbued with life but imbued with a human life. He’s taken his life from the human use to which he’s been put and the very human landscape in which he’s been set. And that I think is a very beautiful idea. GB Do you think people can see beauty in things eventually, with a little bit of coaching? RS Yes my life has been devoted to the task of persuading people that first of all they are wrong in most of their judgments and secondly that there’s only a small step to being right. Most people see and hear but they don’t look and listen. GB Could you find a reproduction of your dog as beautiful as your original? RS Yes but with a second rate work of art like this reproduction isn’t important, as things like these are easily obtained and it’s important that you can see in the texture of it the hand that made it. RS I suppose primarily that it rewards the kind of attention I give it. That it rewards it not just by being pleasant but by engaging something in me and fulfilling that thing in me.